For the holiday season of 2016, we get not one but two brand new games based on the Dragon Ball anime and manga. Anyone familiar with my past on this site knows I'm probably the world's biggest Dragon Ball fan, so now feels like a great time to be alive. 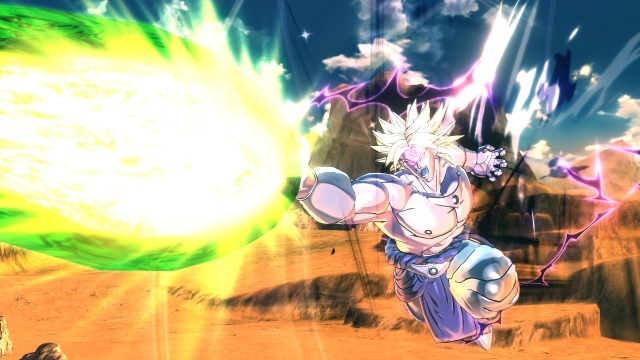 3DS gamers were recently given the gift of Dragon Ball Fusions, an excellent RPG with a totally unique battle system, while console gamers get Xenoverse 2, the sequel to the most original game to come out of the franchise in some time. Unlike a lot of sequels lately, Xenoverse 2 manages to hang onto everything that made the first game so great while adding enough to the formula to make the game feel like a true next step for the series. Though the story is largely unimportant, it does serve as an excuse to plop you right into the series most exciting battles and sagas. Like the first game, Xenoverse 2 allows you to create a brand new character and subsequently see the storylines of the source material through fresh eyes. This was a revelation when it was introduced in the original, though Xenoverse 2 is now the third game boasting this feature. Luckily, for fans and non-fans alike, this character creation process is easy and truly gives the player a feeling of immersion they wouldn't get simply by selecting an existing character. Anyhow, back to the story; it is largely similar to the first game. A duo of new antagonists figure out how to mess with time and it is up to you to bounce from era to era, making sure that the history of the world is kept intact. Like I said, it's not original or even really engaging, but the narrative won't matter too much once you start battling with your favorite friends and foes as a completely new character. For fans, this is reason enough to quit reading and buy the game, but Xenoverse 2 isn't just for fans (a problem tons upon tons of anime/manga games face); there is enough interesting content here to appeal to not just fighting game fans, but RPG and MMO ones as well. As you might expect, the game looks and sounds absolutely fantastic. The visuals have been given a slight but noticeable upgrade from the first title, and the 3D representation of a 2D property seems to get better with each and every release. Seeing the characters take part in the series' trademark world-shattering bouts is crisp, clear and every bit as exciting as it was in the manga and anime. The sound is top notch as well, using the American dub voices as a default. Thankfully, purists do have the option of switching to the original Japanese voice track, which stars all the most familiar voices from the past 30 years. Both tracks are great, so no matter what your preference may be, Xenoverse 2 has you covered. The core of the Xenoverse 2 experience is fighting, and its largely the same as the mechanics found in the first game. Battles take place in large 3D environments, often with multiple characters duking it out at once. Since you can build a custom character that gains levels, specials and attacks with a RPG-lite system, things don't feel like just another 3D brawler. Besting a powerful opponent with skills and abilities you've carefully selected is a great thrill, and further drives home the feeling of being a new entity in an existing universe. I'll be honest; I've never really taken to the 3D arena brawling found in the Xenoverse titles. Too often things become either a game of "chase the bad guy" and/or mash buttons to perform specials. Things do feel more refined here than they did in Xenoverse, but I still felt like everything was a little too loose. Huge attacks don't seem to create the kind of impact on others that you may expect, and inexperienced players can probably make it a good way through the game by randomly mashing buttons to create combos. I have always preferred the more technical approach taken by my all-time favorite Dragon Ball fighting game, Super Dragon Ball Z (PS2), but this battle system does seem to have more fans than detractors. Like I alluded to before, it certainly looks cool, but I never really felt like I had the level of control over things that I felt was necessary. Probably the coolest part of Xenoverse 2 is the online functionality. As someone who loathes most online multiplayer, it feels weird to write that sentence. What you get here is essentially a MMO lite, with other players congregating in the game's hub world. Players can duke it out with others or team up to take on special online-only missions and tasks. The co-op play is far more interesting than just clobbering another player; it encourages connections between players and really makes it feel like a collaborative and living universe. Even after finishing the 40+ hour single player campaign, there is two to three times more content to work through on the multiplayer side. Before we wrap up, I wanted to mention one more thing. 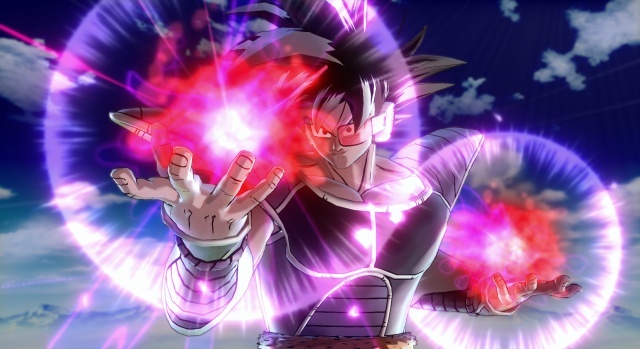 Xenoverse 2 marks the first video game appearance of Zamasu and Goku Black, two of the major villains from the current anime Dragon Ball Super. If you've been watching Super, you know what a huge deal this is as fans have already started comparing these two to the series best and most iconic villains. After rocking the entire Dragon Ball universe in the anime, it feels so good to finally be able to flip out on these two personally. And, even better, if you don't have a clue who they are, Xenoverse 2 does a better than expected job of explaining their character and appearance. This, among lots of other things, makes the game feel like a title for everyone, not just existing fans. As of this writing, I've poured just over 60 hours into Xenoverse 2. Honestly, it would be more but Pokemon Sun and Moon came out so... yeah. But now that I'm done with those 3DS titles, I can't wait to jump back into this game. The fighting system might not be my favorite, but its functional and the only low point I can think of when reviewing this title. Xenoverse 2 is a noticeable step up from the original and, even though its clichï¿½, is a Dragon Ball fan's dream title. Between this and Fusions, the Dragon Ball series is on a win streak and I can't wait to see what's next. Final Rating: 91% - Dragon Ball fans, meet your dream title.